Come to Hard Rock Hotel Panama Megapolis for a career you'll love, with incredible employee benefits. Working with us is a total rock experience! If you're passionate about music, and even more passionate about VIP guest service, you belong on our team. This is no ordinary hotel, and we don't hire ordinary employees. 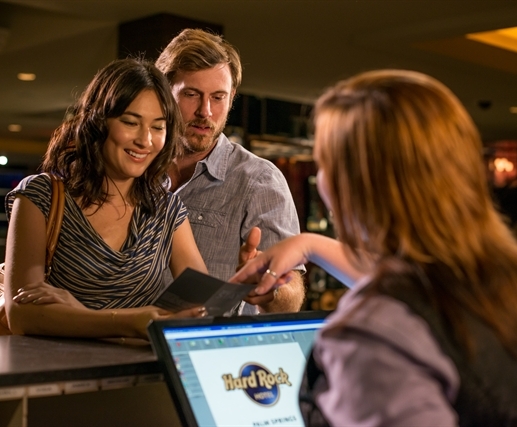 Our staff is as excited about the Hard Rock Hotel experience as the guests, with a focus on attentive, detailed service. If you're ready for something extraordinary, contact us to see where Hard Rock Hotel Panama Megapolis can take you. **Any job inquiry submitted for/any request for information about employment at Hard Rock Hotel Panama Megapolis is being submitted to Megapolis Investment Group, Inc. as the prospective employer.